Life moves pretty fast, but every social media manager knows the digital world moves even faster. Between content creation, scheduling, posting, and engaging with followers, it can easily get overwhelming! It’s no surprise that efficiency is one of the most desirable traits of a social media manager. Here are three ways these social media ninjas make it happen - and quickly! We all know the feeling. It’s 8 p.m. on a Sunday night and your heart skips a beat as you realize: your brand’s social media schedule is empty! The subsequent scramble might result in the desired 2 or 3 needed posts for the week, but they’re rarely of the high quality you’d like to see representing the brand. Even worse, with busy schedules, the chances of this same routine repeating week after week is far too common- not to mention stressful! Good news, content creation doesn’t have to come with extreme stress. Batch working is the process of developing content one to six months in advance of the post date. That’s right, you spend a few days to several weeks devoting your time to cultivating highly engaging, strategic content that you’re proud of. Then you schedule it as desired to post automatically and you’re done until the next batch work period! Easy! For many, the batch work process also helps foster higher levels of creativity. Getting in the flow of creating content without interruptions from other unrelated tasks helps keep the juices flowing for your best work to shine through. Dedicating the time to focus on developing high-quality posts will truly make a difference for your social media accounts and your personal stress level. It also frees up social media teams to work on more complex strategy and community engagement instead of constantly trying to beat the clock. Step up your efficiency and social media strategy with this tip from the pros. No one wants to engage with a social media feed that shares the same exact message over and over. Creating a schedule in advance - be it one month or three- helps to ensure your monthly content is supporting every brand goal through a balance of entertainment, education, and communications about products and services offered. Read on for steps to developing your own (free!) social media scheduling system. Before getting started, reference your research on your target markets. What excites your audience? What questions might they have about your industry? Make a list of these categories and ideas. The big ones should be addressed each month in your social media posts. In addition to those content categories unique to your brand think about other content you have to share. Blog posts, videos, events, case studies, client features, polls, and contests are just a few ideas. Your social media schedule should contain posts from each of your selected categories. This helps create variety to sustain interest and make sure your audience is being served well. Next, create a spreadsheet (one sheet per month) with the dates of the month down the left side. Helpful columns along the top can include: Copy, Image, Link, Content Category, Hashtags, Social Media Platform, and Notes. If you’ve gathered data regarding the best times and target frequency to post on each social media platform, use that to dictate the details of your schedule on the sheet. Fill out each column so the intended post on that day is clear: from the copy to the imagery to which platform(s) it will be shared on. From here, the social media manager can transfer the posts to the desired scheduling software for automatic posting. After this point, the spreadsheet is a useful place to keep a log of post engagement and note where and how to adjust the brand’s strategy. Whether you have a never-ending budget no budget at all, it’s crucial to find software and apps to support your social media efforts. Finding the right tools can significantly cut down the time spent working on your social media presence and the stress involved with making each post perfect! These days there are all kinds of options out there. There are programs that help with graphic design and visuals, photo editing, scheduling and automatic posting, content curation, and even programs that monitor every comment about your brand to gauge public opinion! Unsplash: this free website offers images curated from around the world, available for free use under the Creative Commons license. Canva: You don’t have to be an expert graphic designer to develop top-notch graphics for your social media. 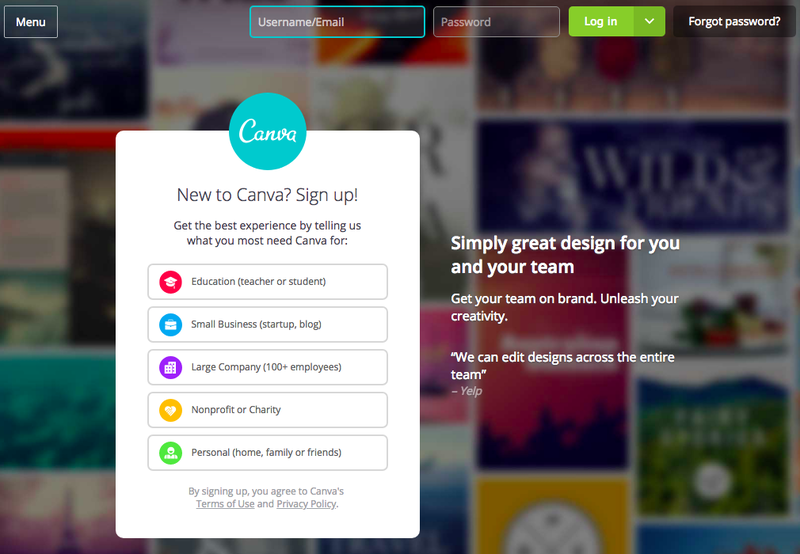 Canva offers templates you can customize to your brand in pre-sized templates for social media platforms, banners, invitations, and more. There are free and paid options of this service. 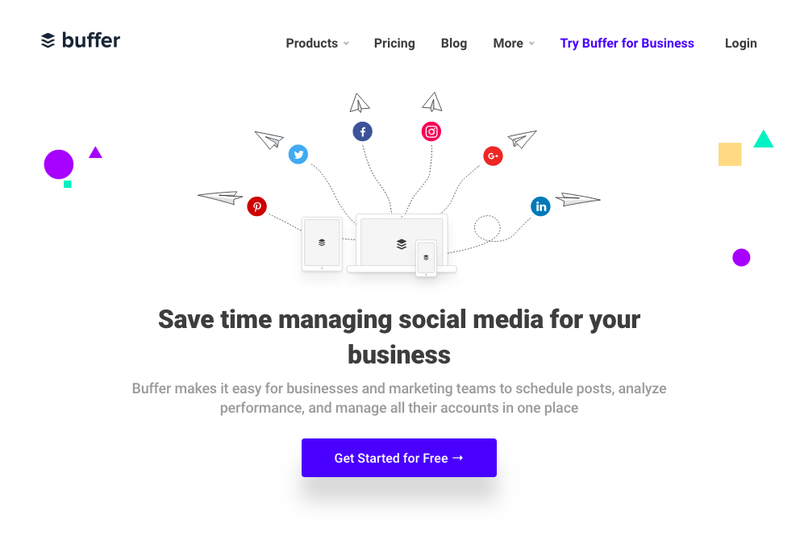 Buffer: One of the pioneers of the social media scheduling world, Buffer offers free and paid plans that automatically post your content on social media platforms such as Twitter, Facebook, Linkedin, Instagram, and Pinterest. 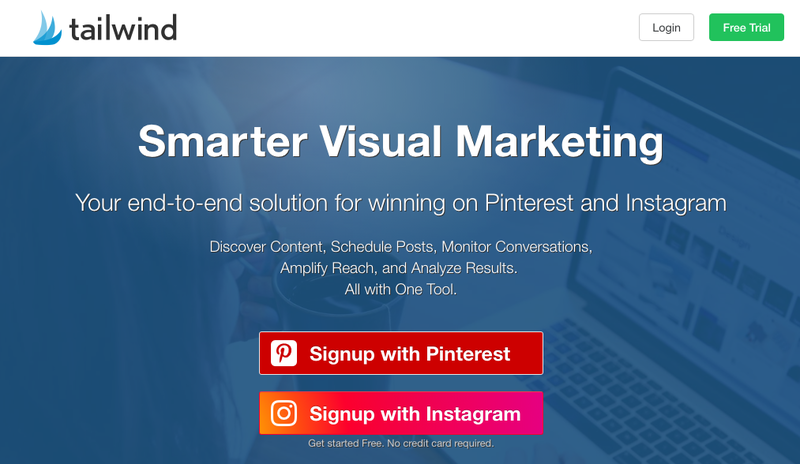 Tailwind: For brands with a focus on Pinterest, Tailwind is a must. Develop content from within the program, aggregate posts from anywhere on the web using the plug-in and schedule it for automatic posting. Tailwind offers a limited free trial and paid plans. Juicer: Not to brag, but we think Juicer is one of the easiest social media tools of the bunch! Forget the arduous task of constantly updating your brand’s website with the latest social media posts, just install Juicer and let it do the heavy lifting. 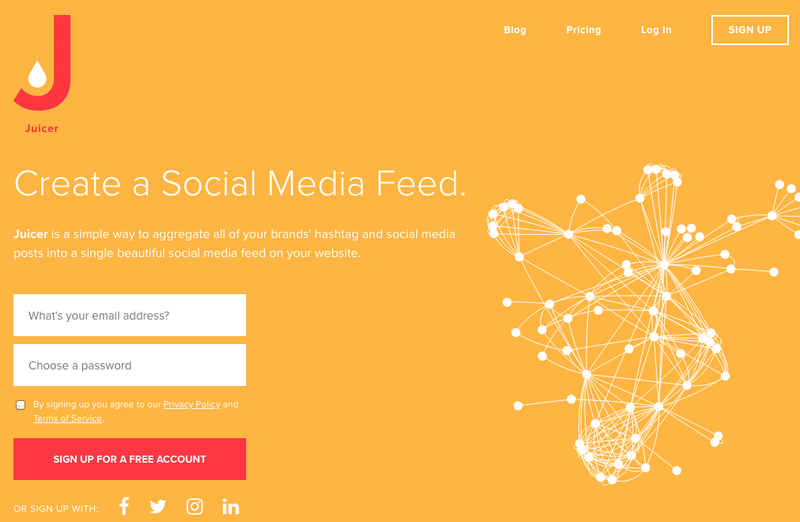 It’ll aggregate the best content from 15+ social media sites in a design complementary to your website. Bonus, the free plan is free forever. Next time you find yourself working harder, reference this checklist and work smarter instead! Do you have any go-to tricks to make your social media efforts more efficient? Share with the Juicer community in the comments below!